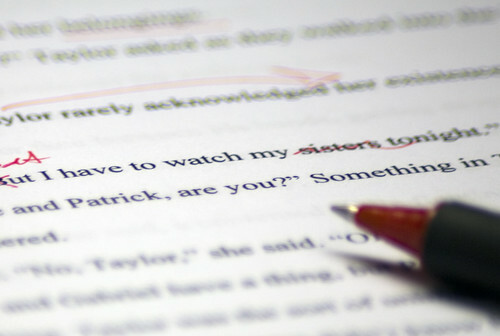 The process of revising and resubmitting a manuscript for further review can be a long and sometimes challenging process. As editors for the journal Evidence Based Library and Information Practice, we see a range of responses to requests for revisions or to revise and resubmit manuscripts. Based on our experience, there are things that you as an author can do to help both yourself and your reviewers to ensure a smooth process and to increase the likelihood of having your revised manuscript accepted for publication. The first is to read the editor’s and reviewers’ comments and suggestions carefully. These comments are aimed at improving your manuscript. Not all of the editor’s and reviewers’ comments may be applicable or relevant to your work, and therefore you may have good reasons for disagreeing with their suggestions. Not all of the changes suggested have to be made, but all of the editor’s and reviewers’ comments do have to be addressed. One challenging thing for editors and reviewers is the number of submissions we see. The time lag between when a manuscript is originally submitted and the time when it is revised and resubmitted can be many months. To help the editors and reviewers see whether you have addressed the comments made about your manuscript and revised it accordingly, you need to identify the changes you have made (or not made) and explain why. The first column should contain the reviewers’ comments. Take each comment that requires a response (either a revision or an explanation) and paste it into a separate box. The second column should contain any revisions that you have made. With a brief description of what you’ve done, copy and paste the changes you’ve made to the manuscript as a result of the reviewers’ comments. Include page numbers (and, if helpful, table or figure numbers, paragraphs, or section names), so that it is easy to flip between the revised manuscript and the table of revisions. If the changes are too long to fit into the table, just provide the description and page numbers. The third column should explain your actions. If you have made revisions, explain how your changes have addressed the reviewer’s comments. If you have not made revisions, explain why you have made that decision. Filling out the table once the revisions have been made can be very challenging. If you start by going through the editor’s and reviewers’ comments and putting them into the first column of the table, this will help you to identify the work that must be done. Then working between the table and your revised manuscript you can proceed in a step-by-step manner to complete your changes. When working on a manuscript with multiple authors, a helpful strategy is to create the table and add all the editor’s and reviewers’ comments and suggestions, and then add another column to assign each of these to an author to address. Following this, a meeting to reach consensus on the changes to make and to assign the work can streamline the revision process and ensure the manuscript is resubmitted in a timely fashion. See another example of how a PhD student organizes her manuscript revisions. What questions do you have about the peer review and revisions process? This entry was posted in Adjunct Member and tagged peer review, revising, template, tips, writing, writing for scholarly publication by sjl247. Bookmark the permalink.